In 1807 the Shakers founded South Union, one of nineteen communal villages the group established in America. Beginning with only a few converts, South Union’s growth rate was a phenomenal journey that eventually amassed a farm of 6,000 acres, saw the construction of over 200 buildings, and produced an economy that brought great financial success. Strict religious principles dictating excellence, simplicity, and order in all things helped create a material culture that was unequaled throughout the 19th century. An adherence to celibacy and communal ownership of property were vital to their quest for Godly living. Financial hardship and dwindling membership by the early 20th century forced the sale of the village in 1922. Today, the South Union Shaker Village (1807-1922) is well-known nationwide for its exemplary standards of historic preservation and its innovative educational programming. During our non-profit organization’s fifty years of preservation we have grown from a one-room museum to a complex of 19th century Shaker structures, surrounded by 500 acres of the original farm. Restoration and development continue, as does new research into the fascinating history of the Shakers. We feel strongly about preserving the Shaker legacy in Kentucky and hope that you might want to be a part of it too. Your tax-deductible contribution supports the continued restoration and development of the South Union Shaker Village. We encourage you to visit often and take an active interest in the progress of this historic site. Our Friends are vital to our future. 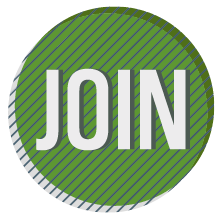 PLEASE LOOK OVER MEMBERSHIP OPTIONS AND CONSIDER SUPPORTING SOUTH UNION SHAKER VILLLAGE BY JOINING OUR GROUP OF FRIENDS. THANK YOU. CLICK ON THE LINK BELOW TO PURCHASE A MEMBERSHIP ONLINE. THANK YOU.